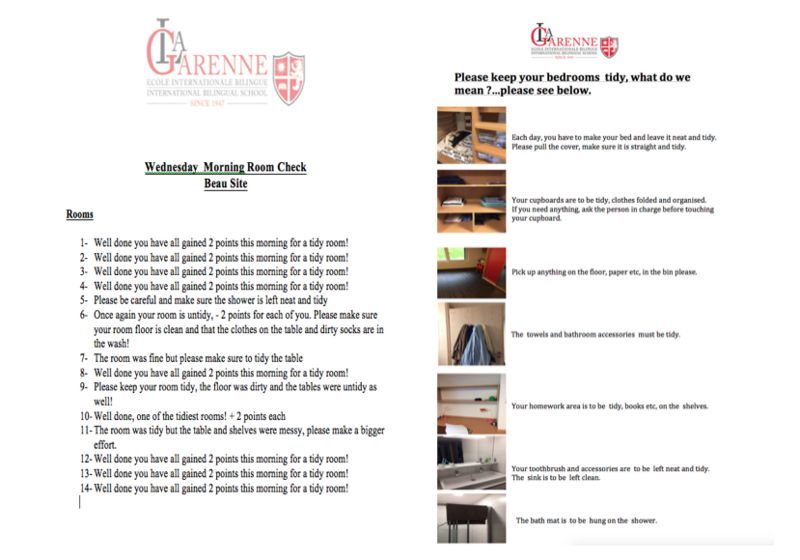 Each morning the rooms are checked and the students are informed if their room is tidy, beds made and cupboards in order. They may be awarded points or may lose points if they have not kept their rooms neat and tidy. They have posters in their rooms explaining what neat and tidy means as they 'sometimes' forget !